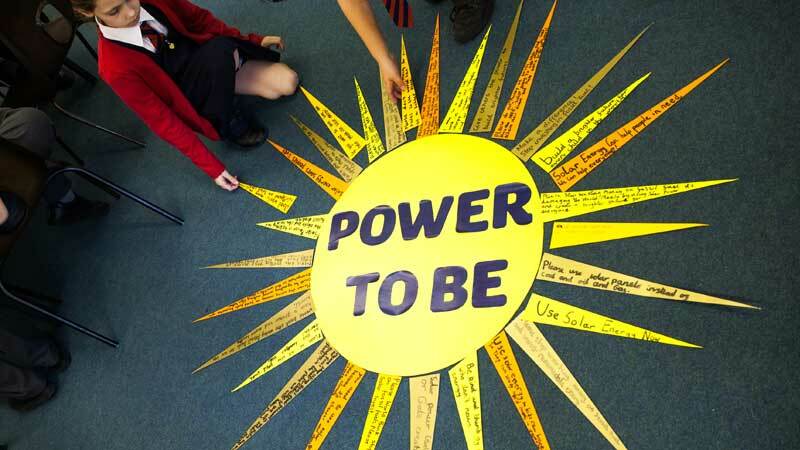 Jo Walker is a teacher at St Anthony’s primary school, and this term her pupils have been learning about renewable energy and writing messages as part of the Power to be campaign. Pupils at St Anthony’s learning about renewable energy. 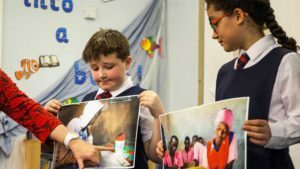 We introduced CAFOD’s Power to be campaign with our Year 5 children and it was a huge success! The children were engaged throughout and were really affected by the content. They found the story of Veronica so moving, learning how solar energy has transformed the life of her community, helping more children study, and being able to compare her daily life with their own provided them with a really powerful stimulus for the activities, and children wrote hopeful messages to Veronica. 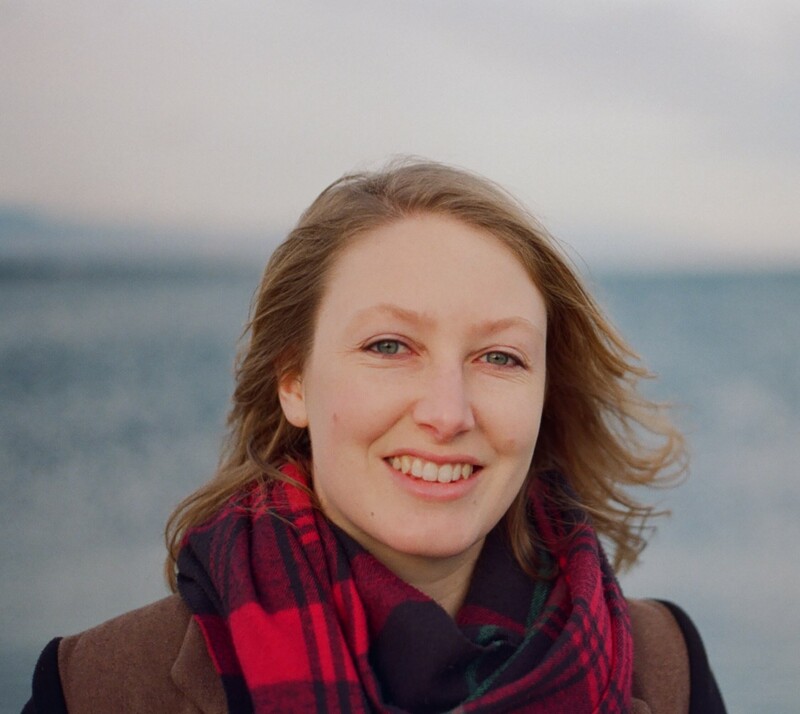 Hannah Mottram works in CAFOD’s policy team. She reports from Zambia, where access to electricity can transform lives. 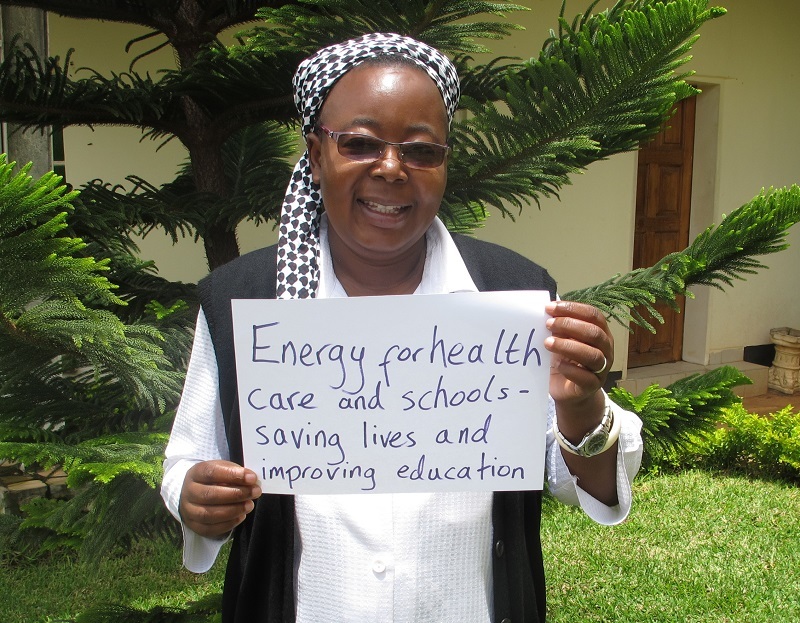 Sr Mathilde has been in her current role for nine years: travelling across Zambia to train staff, inspect health facilities and liaise with the national department of health. She knows first-hand about the many challenges faced by health services in developing countries. When we met in Zambia recently, we discussed one challenge which is sometimes overlooked: lack of access to electricity. Forest Green Rovers Football Club is the world’s greenest football club. Photo by Adam Rivers. I am not really a sporty person and certainly I am not the most knowledgeable person when it comes to football. However, on Sunday 14 May 2017 something special happened in the English football world and I want to celebrate it. Forest Green Rovers won the National League promotion final, jumping to the English Football League. FGR is one of the oldest football clubs in England. Most importantly, after being acquired by CAFOD’s corporate partner Ecotricity in 2010, they have become the greenest football club in the world – and the only vegan club in the entire sport. 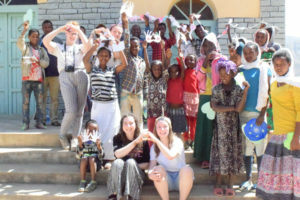 As part of CAFOD’s Step into the Gap programme, Sophie Bray met communities in Ethiopia. 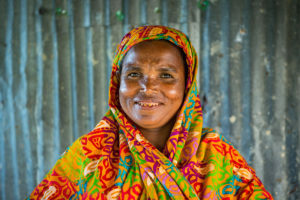 In this blog she talks about how access to a reliable water source and renewable electricity is transforming one community and giving hope to many others. 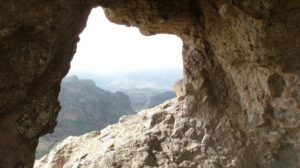 The Step Into the Gap group in Ethiopia with CAFOD. 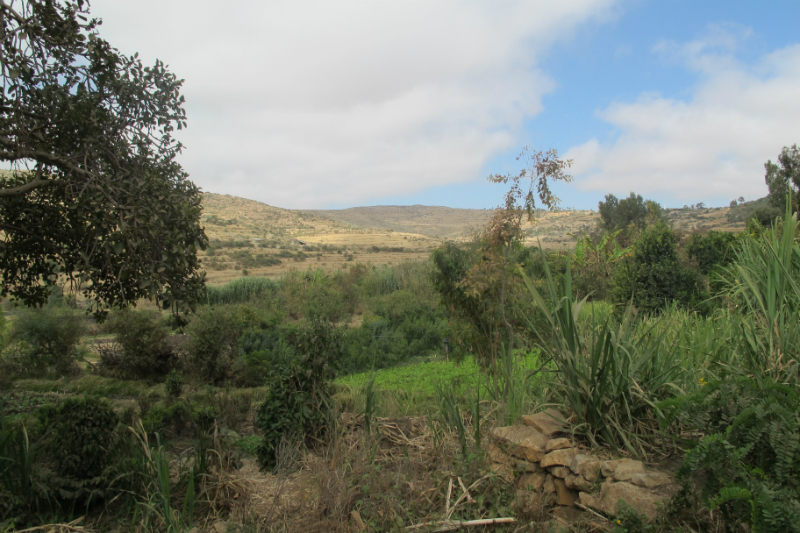 It was during the first week of February on our journey through Northern Ethiopia, when we travelled to a rural town in Mekelle called Lemlem. After meeting the people who lived in the village, it soon became clear how access to a reliable water source and renewable electricity is transforming their community and giving hope to many others. 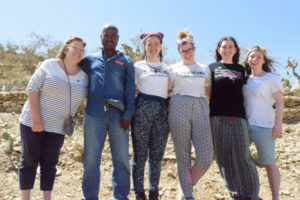 Sophie Hull is currently taking part in CAFOD’s Step into the Gap Programme and she reflects how Ethiopian communities are adapting the changing climate and the projects that CAFOD’s partners are implementing to help bring about a positive change. In Sebeya with the school children. Before coming overseas, I only had heard about climate change and the impact it has on communities. Now, I have seen with my own eyes the realities of climate change. We had just visited a community in Adigrat, a village that had been supported by access water and renewable energy by CAFOD partners, Adigrat Catholic Diocese Secretariat. Having access to these things had transformed their community, but I was soon to learn that access is not the only barrier communities face when they are impacted by climate change. Paris Climate agreement – what happens now? 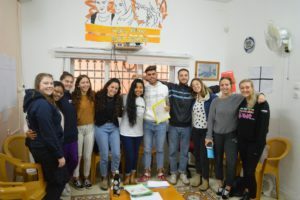 Sally Tyldesley, CAFOD’s policy analyst for climate and energy, has just returned from UN climate change negotiations in Marrakech. Here she answers our tricky questions about the Paris climate agreement, what has happened since it was adopted, and what next for climate action. So, remind us, what exactly is the Paris Agreement? 197 nations came together in Paris last year to make a historic commitment to addressing climate change and cutting carbon emissions. All international agreements need to go through the steps of being adopted, signed and ratified. The Paris Agreement is moving forward at record-breaking speed: it has become one of the quickest international agreements to come into force. What is the difference between the agreement being adopted, signed and ratified? It’s all very confusing. Adoption is the first step. It means that countries agree to the text included within the agreement. 197 countries adopted the Paris Agreement on 12 December 2015. Author mblackmorePosted on November 21, 2016 Categories Campaigning, Climate ChangeTags climate change, Climate Justice, COP21, COP22, Paris Agreement, renewable energy4 Comments on Paris Climate agreement – what happens now? 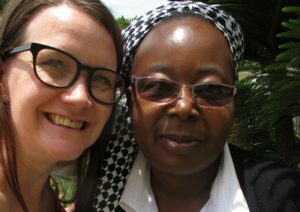 Sarah Hagger-Holt works in CAFOD’s campaigns team. She’s determined not to give up hope that together we can build a better world – here’s her seven reasons why. There’s no disguising the fact that we face huge challenges in tackling climate change – but if we don’t recognise how far we’ve come, we won’t have the energy we need for upcoming battles. So, if you are tempted to give up hope, read on for seven reasons to stay cheerful. We can overcome our differences. 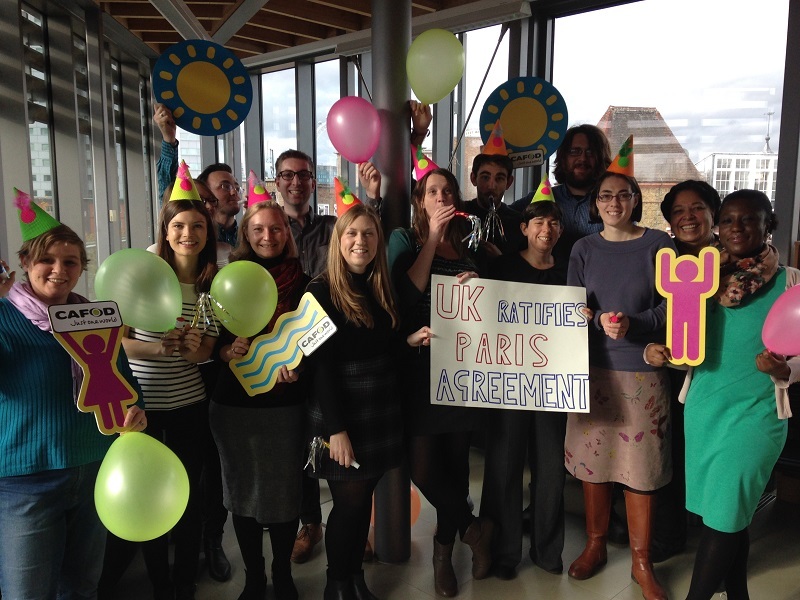 This week, the UK joined 110 other countries who have ratified the Paris Agreement for cutting carbon emissions and tackling climate change. Something worth celebrating! In a climate week of action from 8-16 October, hundreds of people across the UK will be meeting their MPs to talk about what they can do together to tackle climate change. One way we can each play our part is by using renewable energy. We invited Andy Parker, from renewable energy company Ecotricity, to share what they do to support green energy and how you can get involved. Ecotricity and CAFOD have been working together since 2013. We supply 100% green electricity to some of CAFOD’s offices, including its HQ, and we’ve donated £10,000 to the charity through a special energy switch offer over the last three years. 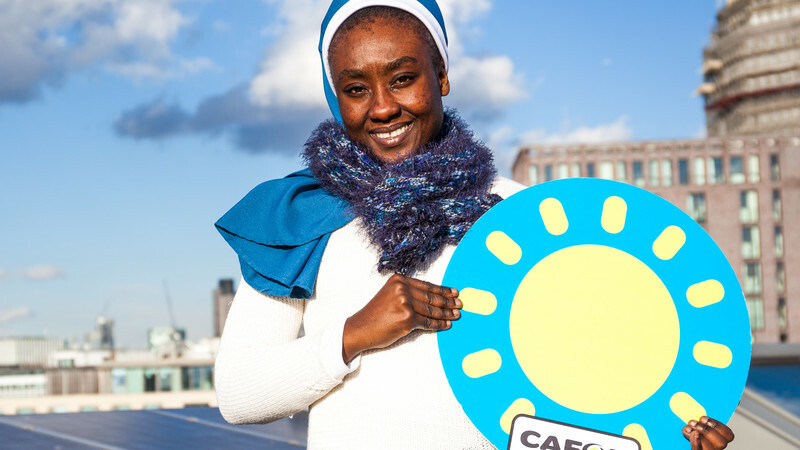 We only partner with organisations whose principles we believe in – and that was pretty easy with CAFOD. Their mission aligns neatly with our own. We introduced green electricity back in 1996. We work to change the way energy is made and used in Britain – to create a Green Britain. That mission has become more relevant and more urgent than ever. When world leaders gathered in Paris last year, they agreed to limit the Earth’s average temperature rise to less than two degrees above pre-industrial levels. 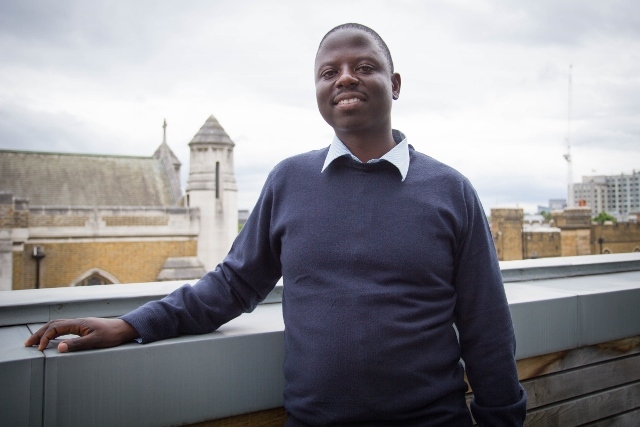 Takura Gwatinyanya works for CAFOD partner Caritas Harare in Zimbabwe. 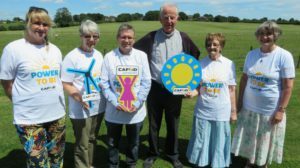 He recently met CAFOD supporters in England and Wales to talk about how Caritas Harare is using renewable energy to help to tackle the effects of climate change in the southern African country. Pope Francis warns in Laudato Si’ that our interference with nature is particularly affecting areas in which the poorest people live. This is all too evident for the communities that Takura and Caritas Harare serve in Zimbabwe. As we have caused the climate to warm, drought has dried up people’s water supplies, destroyed their crops and livelihoods, and increased the spread of diseases such as cholera, typhoid, and diarrhoea. Takura recently visited parishes around England and Wales to talk about how the support of Catholics in this country is enabling people in Zimbabwe to overcome the challenges thrown at them by our exploitation of nature.